Legacy Design Build Remodeling has proudly served the Phoenix area since 1988. Over the years, we have become one of the most respected and experienced full-service residential remodeling companies in Arizona. Legacy is committed to delivering the highest levels of craftsmanship and customer satisfaction, and our success in that aim has earned us numerous industry accolades. We have consistently met our high home remodeling standards thanks to the efforts of our team of highly qualified designers and craftsmen, whose combined expertise will ensure your project is completed to your total satisfaction. This commitment to excellence has earned us an A+ rating with the Better Business Bureau that we continue to maintain. Legacy offers a wide variety of home remodeling services such as bathroom and kitchen remodels, custom home additions, extensions, and outdoor living remodels. Our design process starts with a consultation with one of our designers who will discuss the details of your project and get an understanding of your vision for your remodel. After this meeting, we will create a 3D rendering of what your layout will look like so that you can make any changes to the design before your project begins. At this point, our designers will help you select the products, colors, and styles that will make up your new space so that it truly comes to life just as you’ve always imagined. Finally, we will perform the actual construction of your new room, during which we will remain as unobtrusive as possible so you can continue to go about your busy life as you always would. At Legacy, we offer everything you would want out of a home remodeling company: top-tier remodel services, friendly and skilled professionals, and impressive results. Contact us today to learn more about the improvements we can make to your home! 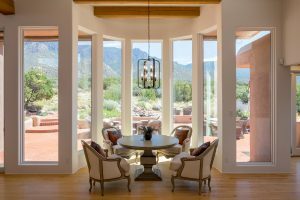 As one of the Phoenix area’s leading home remodeling companies, Legacy Design Build Remodeling is proud to be located in Scottsdale. Since 1988, our team of hard-working craftsmen and expert designers has served the area with the highest levels of workmanship and customer satisfaction. Whether you are looking for a bathroom or kitchen remodel or want to redesign your outdoor living area to spend more time enjoying the dramatic desert scenery, we are the perfect remodeling company for your home. Legacy Design Build Remodeling is proud to be supported by one of the largest home remodeling companies in the country, Dreamstyle Remodeling. This award-winning company has helped more than 60,000 homeowners across the nation add value and beauty to their homes since 1989, meaning that Dreamstyle’s experience is virtually unrivaled in the industry. With numerous awards to their name and countless customer reviews to back up the quality of their work, it is no surprise Dreamstyle has grown into one of the leading home remodeling companies in the nation. And, if you want to feel confident knowing that your whole room renovation is being completed by a company that has the backing of a nationally-known and -trusted remodeler, contact Legacy Design Build Remodeling today. Legacy and Dreamstyle – a partnership dedicated to providing homeowners with the best home remodeling experience of their lives.